Follow these tax planning tips for 2017 and bring your A game at tax time. Most of us don’t even think about our taxes until after the New Year. After all, most personal tax filings aren’t due until April 15th. But if you don’t do it now, you might miss out. Denise Alexander, CPA and President of TaxWise, Inc. in El Dorado Hills shared some of her insight and pitfalls when it comes to personal tax planning. Denise explains, “shortly after each calendar year ends, most taxpayers are focused on how large their IRS refund will be but using the IRS as a savings vehicle will rarely leave one better off financially.” Denise shared five areas to consider when planning the annual dance with the IRS. Whenever a person takes on “1099” work versus W-2, the tax consequences can be dramatic. 1099s are subject to an additional tax of about 15% (a.k.a. self employment tax). This is the same tax that gets paid when you are an employee except the big difference is that the employer pays half and your half comes out of your paycheck. Because of this, many folks who received 1099 income are surprised by how much tax is owed. Understanding the holding period of capital assets (like stocks and bonds or mutual funds) is critical. The tax rates can be dramatically different between the two categories. It may be only a matter of holding an asset a few days longer to reap a large tax savings. Finalizing your divorce without understanding the tax implication of who claims the children as exemptions can be costly. Depending on the income each party earns, there are tax credits that may go unused if the exemption is taken on the higher earner’s tax return. If you’re getting a large refund at the end of the year from the IRS or state, you’re probably withholding too much from your paycheck. The IRS doesn’t pay interest to those that overpay them, in most instances. Don’t count on receiving a toaster or even getting a thank you note. A better option is to make the necessary tax withholding adjustments so you keep more of your money throughout the year. Those funds could go toward other retirement accounts, college savings plans, or to pay off debt. This area of the law can be confusing to most. Simply plugging in numbers, after the fact, into tax preparation software might help a tax payer report what happened in a given year, but it leaves no opportunity to plan distributions in a tax efficient manner. Early distributions often occur in a year when the taxpayer has had a financial setback. Waiting until the last minute may result in lost opportunities to help offset some of the additional taxes and penalties incurred from the early distribution. Follow these tax planning tips for 2017 and bring your A game at tax time. Many people don’t realize how early you need to establish certain retirement plans to take advantage of the tax benefits. The reason is that most of us are used to the rules that apply to Traditional IRAs, Roth IRAs, and SEP IRAs. These accounts can be set up and funded during tax season so that the reduction in tax is applied to the prior year. For example, in March of 2018 you start preparing your tax return for the 2017 tax year. You determine that making a retirement account contribution will help reduce your taxes. In this case, you could establish and fund a Traditional IRA or SEP IRA in 2018 and receive the deduction for the 2017 tax year. However, what if you would have been better off setting up an Individual 401k plan (a.k.a Solo 401k or I401k)? In this case, it would be too late. These plans need to be established in the year for which the contribution is intended. These can be powerful retirement planning tools but you need to plan ahead to take advantage of them. If you participate in a 401k, 403b, or SIMPLE IRA retirement plan at work, you are in the home stretch for 2017. If you have been considering making an increase in your contributions, now is the time. The minimum you should be contributing to the 401k is the amount that qualifies for 100% of the matching from your employer. If you’re ready to increase even further, every dollar you put in will either reduce your taxes now, or minimize them in the future if you’re making Roth 401k contributions. Unlike Traditional IRAs, Roth IRAs, and SEP IRAs, company retirement plan contributions must be made within the calendar year. Whatever you’ve socked away in a 401k, 403b, or SIMPLE IRA by December 31 is all that is counted toward your 2017 tax bill. I was recently asked “Can I take money out of my Individual Retirement Account (IRA) while working?” The short answer to this question is “yes.” You can take withdrawals from your IRA at any time. But there is catch. Assuming all of the contributions you made were tax deductible, the withdrawals would be taxable as ordinary income. If you are under age 59 ½ you would likely be subject to an early withdrawal penalty from the IRS. When added together, the taxes and penalties can take a huge bite out of your IRA. Just because you can take money out of an IRA, doesn’t mean you should. For many people, it is an easy place to look when funds are needed. It’s almost too easy to withdraw from an IRA and it can lead to less than optimal financial decisions. If you’re getting to the point where you have no other choice but to make an early withdrawal, consider the timing. Let’s say you decide to make a withdrawal and it’s mid November or early December. If you could hold out a few more weeks and wait until after the New Year, you now have a taxable event in 2018 versus 2017. This is due to the fact that IRA withdrawals are based upon the calendar year they were taken. So if you make an early IRA withdrawal on December 31 of 2017, you’ll be paying the tax and penalties at tax time in April 2018. Please remember this should not be considered tax advice. 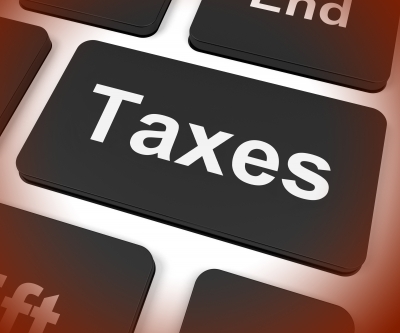 Make sure to consult a tax professional for guidance on your personal situation. Take the time to start tax planning now. 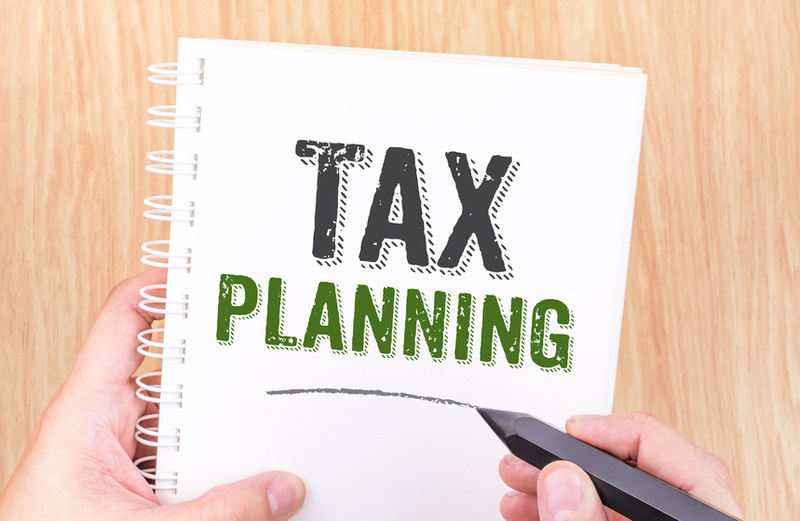 These tax planning tips for 2017 can go a long way toward minimizing taxes and avoiding some costly pitfalls. Do you have questions about these tax planning tips for 2017? My mother broke her hip last week and I find your advice on withdrawing from one’s IRA can be taxed to be worrying. I want to help pay her hospital bills and keep her calm for her to recover faster. Reading your article made me consider getting her taxes sorted out by a professional in order to avoid penalties from using her IRA early. I love what you said about maximizing retirement plans. Tax planning should be done with the help of experienced accountants. If I were to need help filing my taxes, I would make sure to work with the best accountant I could find.